7 months into our NEO home and we have settled in nicely. The extra space has proven very useful as we have increased the company headcount by 33% over that short period of time and have recently celebrated our 25th consecutive quarter of year on year growth. Not only have we significantly bolstered editorial and sales resources to account for our growing client base, we are also pleased to announce the November 2017 opening of our West Coast U.S. operations and welcome onboard Ceri James as Chief Operating Officer. Ceri brings with him over 25 years’ industry experience working in medical and scientific communications including AstraZeneca where he held various sales, business management and marketing roles. He also brings agency expertise, from McCann Health where he held roles in brand consultancy and innovation, as well as organizational capability development experience with Brand Learning, now part of Accenture. Adam King comes from a cancer research background. Having graduated from the University of Leeds with a Masters in Medicinal Chemistry, he undertook a four-year adventure which saw him travelling the globe and even opening his own hotel in Koh Samui, Thailand. Joan Nugent joins the editorial team and comes from an extensive proofreading background. Joan studied Film and Media at Manchester Metropolitan University and she exercises her creative streak by enjoying photography, illustrations and calligraphy in her spare time. Matt Rafferty joins us with a first-class Masters degree in Chemistry from Sheffield Hallam University. Away from science and medical writing, Matt can be found adventuring in the Swiss Alps or teaching classical guitar. Evgeny Lukiyanov is a software developer whose enthusiasm for coding can also be seen in his range of hobbies including: travelling, photography, fitness, making music and generally throwing himself into life. Beth Burton brings her front-end web development skills to the creative team. Beth graduated from the University of Liverpool with a degree in International Business and a MSc in Computer Science. When she is not enhancing her programming skills, she can be found enjoying country music or keeping fit. Matt Byron has a 16 year career working within media sales and has extensive experience in digital and print. 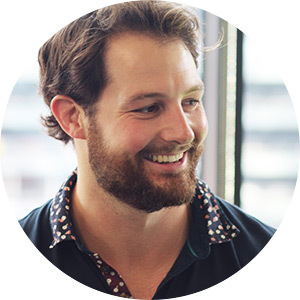 Rugby League and Football are among the sports for which Matt has a passion as well as travel, practicing his culinary skills and walking Archie, his loyal canine companion. Sadie Teasdale lends over 10 years’ experience having worked successfully in both print and digital media. She enjoys travelling, looking after her 2 young boys and following the exploits of Walsall FC. Dougie Green returns to AZoNetwork for his 2nd term in November: Dougie was instrumental in the initial setup of AZoM.com back in 2001 as a Materials Science writer. Since then, Dougie has had great successes in Medical and Scientific Instrumentation sales and we are pleased to welcome him back to set-up our U.S. West Coast operations. And finally, we are not just growing at the operational level: AZoNetwork Board Adviser, Professor James Rabeau is now based at Sydney University and is working for Microsoft on the Quantum Computer. Exciting times here at AZoNetwork – Find out more about our story or meet the team here!